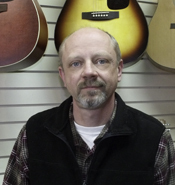 Randy has been the owner of Island Music since 1985.
many years of experience and knowledge to Island Music. with The Broad Street Band. 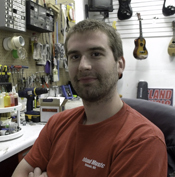 and expertise to repair your instrument in a timely manner. instrument sales experience in the Fox Valley. Gary is an expert when it comes to anything guitar related. 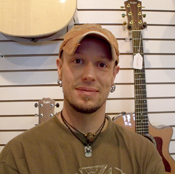 Acoustic, electric, bass, mandolins, banjos etc…he has the know-how. to play out in the community. Don has been with Island Music since 2009.
as a private instructor teaching brass and piano. 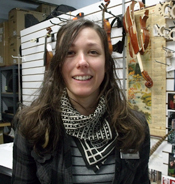 Erin has been with Island Music since 2005.
attention required to complete fine projects. Erin can get the job done. 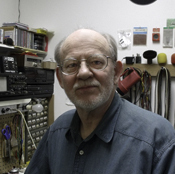 in instrument care and repair. knowledge of various makes and models of instruments.